WOLVERHAMPTON let a winning position slip as they suffered a 51-39 home defeat to Swindon. The Parrys International Wolves led by six-points with just five races remaining, but a late fightback from the visitors saw the Monmore men lose on home shale for a third time in 2015. Promoter Chris Van Straaten said: "It was a very disappointing night in the end and there's no excuses after holding the lead that we did. "As the track slickened off we struggled but you can't take anything away from Swindon, they're a really fine team, they took the meeting by the scruff of the neck and ended up winning comfortably. "A lot of our riders are struggling confidence wise but we need to pull it together and try and get back to winning ways against another strong looking side in King's Lynn next week." Freddie Lindgren put in another pleasing home performance at Monmore while Jacob Thorssell picked up another good score to continue his impressive recent run of form. Lewis Blackbird made a positive return from injury while Ricky Wells endured a mixed night but did pull off a spectacular team-ride with Lindgren in heat ten to hold off Darcy Ward. Peter Karlsson had a tough night once again at No.1 and Josh Bates suffered a frustrating meeting also. Tobiasz Musielak was withdrawn from the meeting after aggravating an injury when spinning round in heat four. 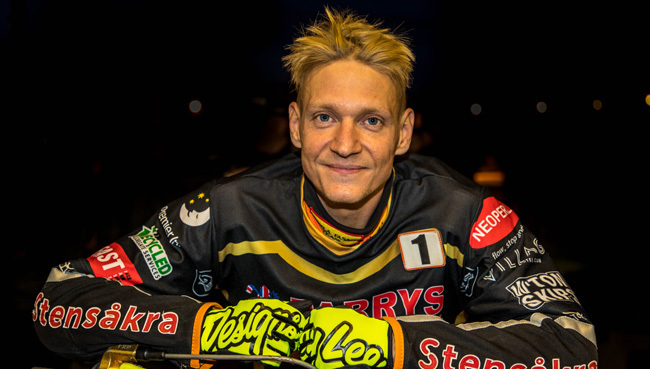 WOLVERHAMPTON 39: Freddie Lindgren 10+1, Jacob Thorssell 9, Lewis Blackbird 7+1, Ricky Wells 6, Peter Karlsson 4+1, Josh Bates 3, Tobiasz Musielak 0. SWINDON 51: Grzegorz Zengota 16, Darcy Ward 11+1, Charles Wright 9+1, Troy Batchelor 8+2, Ashley Morris 5+1, Nick Morris 1+1, Eduard Krcmar 1.